Technology has changed so much of our transactions that we now have the capacity to run bank-less with the concept offered to us by the world of cryptocurrency. Formerly of BitMEX and PayPal, Lisa Loud talks about the things she has been doing in the blockchain and crypto space, and what this means to our finances. 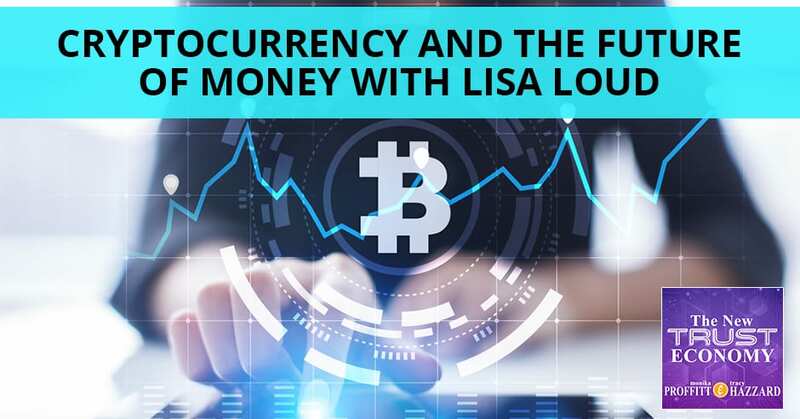 Lisa takes us back to when she discovered the world of financial technology and online payments, eventually leading her to work at PayPal and then transitioned to BitMEX. She shares about where the market is leading and the initiatives she and her team are looking at to promote the adoption of cryptocurrency. Bringing its benefits to the rest of the world, Lisa gets into the innovations that would allow more people to utilize this emerging financial technology. I’m here with Lisa Loud, formerly of BitMEX and PayPal. She has been around the crypto block for many years and even longer been engaged in online payments. I hooked up with her at the CryptoTuesday for Social Good event. I was happy to be introduced by Lisa when I got to speak. I got to see all the great things she’s doing and hear her talk about it first person, which made me want to bring her onto the podcast. Lisa, thank you so much for coming on and being willing to talk about some of the cool stuff you’ve been doing in the blockchain and crypto space. Monika, it’s great to meet you as well. I’ve been looking forward to getting to know you a little bit better. I was honored to be able to introduce you. It was an amazing presentation that you gave. I’m excited to hear what you’re working on. I got a lot of insight into what you’ve been working on, which was there’s more overlap than we even realized. I’m wondering if you could go into some of the first things you talked about with your presentation. It had to do with some of the interesting things that you were doing before you were involved in real estate. I was raised by a mathematician and that definitely colors your view of the world as a mathematical place to live. I naturally gravitated into programming and coding. I was a coder for Apple and Oracle. I worked on some interesting projects there. I ended up doing a startup on my own. I landed when I got to PayPal because PayPal was an exciting place. It was in 2008 when I started there and I felt they were still pioneers in the financial technology space and online payments. Were you on the coding side at PayPal or were you on the front-facing side? You mentioned not just this background on the deep mathematical side of things, but also on the marketing side. When I landed at PayPal, I had only done coding. I was hired there to be a technical program manager, which meant that I had to coordinate a lot of different groups. The reason I was brought in was PayPal wanted to launch a fully new Canadian site. There had never been a PayPal Canada before then. They wanted to launch this site but PayPal has a large and matrix organization. There were a lot of different development groups and engineering groups that we’re trying to work together and they didn’t speak the same languages. I was brought in as a technical communicator and project manager. I managed to coordinate all of these teams together to launch PayPal Canada in 2009. It took a couple of years to get there. It was an exciting project. I am also Canadian so it helped that I could speak Canadian as well as coding. When you were doing technical program management, I thought that you were also doing some external marketing or messaging. It sounds like it was general communications plus being able to code and understand the technical side of things. I was interfacing with many different groups, including marketing. I ended up showing an affinity for that group. After the product was launched, they asked me to come onboard in the marketing team. That’s how I made that transition. How long did it take until you landed in the marketing team? After PayPal Canada was launched, it was about a couple of years. I moved into a fully marketing role at PayPal in 2009. This overlaps with some of the other things you were doing that did not go into the tech space. Timeline-wise, I was digging around and I saw that you had done some corporate housing by owners, but that was at the same time as some of this PayPal stuff. Was there an overlap there? Were you one foot in corporate and one foot in entrepreneurial land? That’s true. I started a company in corporate housing before I went to PayPal. It was exciting because it was before Airbnb existed. I owned a duplex. I had small children and I wanted to stay home with them. I saw an opportunity to use the other half of my duplex to support myself and stay at home with my kids. What I did was I rented it out short-term to executives who were coming into the Bay Area to work at large companies. I was at the tip of that sharing economy, but I was definitely riding that wave. I find that I always tend to be somewhere in the early days of things, which is why I was in FinTech. Then I was in sharing economy for corporate housing and now I’m in the blockchain. The corporate housing business was fun to see that develop while I was in that business and building a business for myself in there. That ended carrying through the time that I was at PayPal. I was doing it on the side while I was at PayPal. I took some breaks from PayPal and went and did my business and then went back to PayPal. I went back and forth a little bit. People don’t talk a lot about the other things you’re doing on the side or maybe that are the bulk of your income when you’re trying to start a new thing, especially as you were with corporate housing by owner and stuff. You were at the early days when you could be doing well, but also the general adoption might be so new that it’s always a little iffy. It doesn’t get talked about a lot how many other things you’re doing when you’re an entrepreneur. A lot of times people are like, “She started a business, done.” How did this end up transitioning into BitMEX? BitMEX is the next evolution of this thing you’ve got for new technology and where the market’s leading. PayPal originally was a leader in the financial technology space because they created a new category called a payment facilitator, which didn’t exist before PayPal. They made room for themselves by doing something different and by having a lot of adoption. Adoption drives regulation in some cases. PayPal was able to get such a large customer base that regulators eventually decided, “We better make the space for them because this is clearly a need.” As what happens with everybody, like artists and musicians, if you get good success under your belt, you don’t want to risk that and you don’t want to be the pioneer anymore. You don’t want to be super creative. You want to be safe. You don’t want to lose what you have. I finally realized in 2017 that PayPal was never going to be the pioneer again and it probably wasn’t a good fit for what I wanted to do in my career. I had been talking to the people at BitMEX because I’ve been involved with bitcoin since the early days. In 2013, I had mining rigs in my house and I loved the whole industry. I wanted PayPal to go into that, but it became clear in 2017 that wasn’t their mission. Since I knew people at BitMEX, I talked to them and they were like, “You should come over. We need your experience. We need your marketing background. Come on over and help us build this.” I left PayPal and went to BitMEX, which was a huge risk at the time. PayPal was well-established and BitMEX was this rebel in this rebel space. My colleagues at PayPal thought I was crazy when I did that. 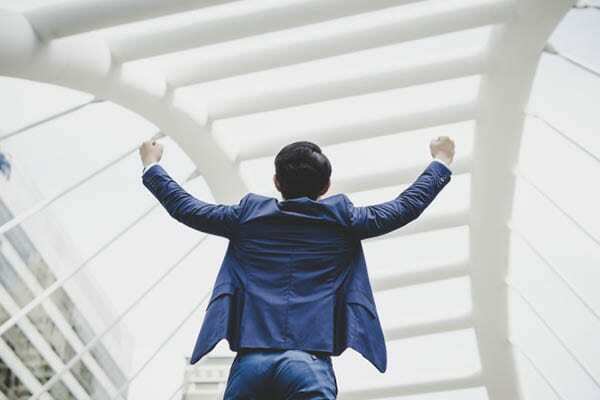 Cryptocurrency: If you get good success under your belt, you become more cautious because you want to be safe and don’t want to lose what you have. It was such an exciting space. The exchanges are all up and coming and there’s drama in the space. There’s competition. There are little rivalries going on. I landed in this space and I’m like, “This is the Wild West.” That’s super fun and exciting to see the business grow and grow. Now we’re in a different phase of cryptocurrency, but at that point in 2017, things were going up. I can’t say enough about how much fun it was to be part of that team and to see things evolving and being successful. When did you leave BitMEX? In 2018, I left BitMEX. It was super fun to be with that. I decided to leave. I’m working on something that is more collaborative. I feel adoption is the most important thing in any industry in order to gain acceptance and legitimacy. While the exchanges are doing a great thing for the industry by focusing media attention on cryptocurrency, I don’t think that they’re helping as much as they could with adoption. What I’m focused on is a nonprofit that is focused on adoption. Blockchain, in general, has the potential to empower people in developing countries. It has the potential to bank the unbanked. To provide microloans in Southeast Asia and United Nations food programs in Jordan. There are all these things that can happen with the blockchain and with the digital currency. In order to legitimize the industry, I feel we need to have a little better adoption. What I’m on now is all adoption. Can you talk a little bit about some of the initiatives that you are looking at to promote adoption? There are few people that own any cryptocurrency and a high majority of them are younger and younger. We’ve got early adopters that are in this likely to adopt age group, but it’s not just those folks that are already on the cutting edge of interesting technology, they’re youthful and with an appetite for it. The real need for the entire crowd adoption that’s not the most likely suspects is important. What innovations or initiatives are you guys developing to promote a broader sense of adoption in crypto? In general, what we’re doing is trying to start a grassroots movement where people can share their cryptocurrency with other people. That’s the way to do it because I’ve seen a couple of initiatives with education. I’m going to use my Harry Potter analogy. Everyone knows the Harry Potter story where Harry is this Muggle. He’s an ordinary person living in an ordinary world. He’s cramped, he’s mistreated, he’s miserable and he doesn’t have any power. One day, he gets a gift and his gift is an invitation to join the magical world of non-Muggles. In accepting his invitation, he gets the chance to go to Hogwarts, which teaches him all about magic. It gives him a wand. It teaches him how to use the tools. He’s suddenly empowered and has more freedom than he’s ever had in his life. That’s what we’re looking at with the world of the digital asset economy. It exists all around us, but most of the world is still bit-Muggles. The world is full of bit-Muggles who have no idea that cryptocurrency digital assets even exist, don’t know what blockchain is. Other people who have heard of it but still don’t understand it. If you provide education without the incentive, then people tend to get intimidated by it. I know somebody who’s doing education in this space and she told me that even if people pay for a class, they’ll come to the class for the first few weeks. At some point, they’ll drop out because it’s too complicated for them and they don’t see the payoff for themselves. A lot of the initiatives that I want to work on have a payoff. It gets people engaged and motivated. They’re incentivized to do something about cryptocurrency, about digital assets, about blockchain. There’s some personal benefit that goes to them if they learn about it. I do think that as we’re thinking about adoption, we have to bring it home to ourselves and not say, “Someone out there needs to make the world adopt bitcoin.” It’s us. We have to tell our friends about it and share it with them in order to get more people in the economy. You first had mining rigs in your home mining cryptocurrency in 2013. Who told you? How did you learn about blockchain? I know a lot of engineers in Silicon Valley because I used to be one of them. One of my friends who’s a complete engineering nerd, he said to me one day, “Your house is cold.” I was like, “My house is cold because it’s California. We don’t have insulation here.” He said, “I have this device and I’d like to put it in your house. It doesn’t make sense for me to run it at home because the electricity costs more than I get for running it. Since your house is cold anyway, it can heat your house because it creates a lot of heat. You’ll be paying for heating and I’ll be getting bitcoin.” That’s how I got into bitcoin. Did you end up getting any of the bitcoin? I did. Eventually, I understood what he was doing once it had been there for a while. It was a few months until I understood what was going on here. You were mining bitcoin in 2013 or early 2014? 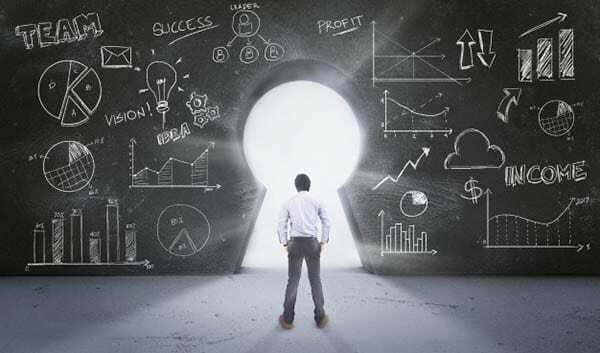 Cryptocurrency: If you want to be on the cutting edge of what’s happening, it’s not a matter of cultivating all the interest yourself but cultivating the curiosity for interests that you wouldn’t possess. At that point, what else did you see? I first heard about Bitcoin probably in 2010. How did you end up seeing the relevance of it? What was the use case that made sense to you? I did not see a lot of relevance to it. I saw that it was like Dungeons and Dragons. A lot of my geek friends played it. I would play with them because I wanted to find out what they were interested in and participate in whatever they were doing. I have that personality that I always want to find out what people value. I hate sports on TV, but I noticed that a lot of people love them. Sometimes I watch a game with them to understand what they see in it. That was all I had for bitcoin. I didn’t have a passion for it at that point. I saw that some of my friends were passionate about it so I wanted to see what was going on and learn more about it. That might be the biggest takeaway yet if you want to be on the cutting edge of what’s happening. It’s not a matter of cultivating all the interest yourself, but cultivating the curiosity for interests that you wouldn’t possess. It increases your likelihood of being exposed to the thing that is the next big thing. I don’t think I was that intentional about finding out what’s the next big thing. It’s more trying to be open-minded so I can understand other people. I like to be able to understand what motivates people, even if it doesn’t motivate me. It’s more wanting to understand people better. It has paid off. You’ve got a lot of good payoffs. You’ve been in so many early times of various different industries. Somehow following your nose this way is working out. Do you still put to work any of the mathematics and the math brain that you inherited? Is that still a big part of what you’re doing or do you feel the marketing brain of yours has taken over with the more nonprofit focus? If I ever do something that doesn’t have a technical challenge to it, I get bored quickly. One reason I loved the BitMEX role is that because it’s a derivatives trading platform, I had to learn a lot. It made sense to me from the mathematical side, but I had to learn a lot about how trading works and how derivatives work. It’s not that I hadn’t traded before, but I got into it and it’s mathematical. It’s statistical. Understanding those concepts was fun for me. The nonprofit that I’m working on has a mathematical component to it. How does adoption work? Statistically speaking, how do you promote adoption? That aspect of it always has to be there for me. I feel we’ve hit the most amazing stuff. I wish we could talk more about what you’re doing, but I realize it’s still a little bit in stealth mode. You’re going to have to come back onto the show and tell us about it. We need more initiatives to get mass adoption into crypto and that’s why I wrote my book. It’s the biggest need that we have at this point. Where can people find you on social or online? Any links or anything like that? Do you have any a handle that you want people to check out or anything where you are publishing often? I do have a blog. It’s called Blockchain & Disruptive Finance. I write about generosity in the digital asset economy and about women in the blockchain. Those are my two pet topics. Is there anything else you want to let us know about? We’ll hear from you again. Thanks so much, Lisa. Thank you so much for inviting me, Monika. It’s great to talk to you. It’s great to talk to you as well.